I’ll be honest with you, I love Beau’s Brewery. Like, LOVE them. Beau’s is a great Ontario craft brewery. They’re one of the bigger craft breweries in the province in terms of market share and brand recognition and, like most craft breweries I know of, put out great short-term beers in addition to their flagship beer, Lug Tread, and their seasonals. They also have a huge Oktoberfest celebration every year at their brewery in Vankleek Hill with tons of music, beer, and general good times. I WILL go one year! I can’t go this year because I’m doing social media for a new food and film festival, which you should totally come to if you’re in Toronto October 4-6 (how’s that for a shameless plug?). Every year Beau’s polls their fans to decide on the four beers that should be included in their annual Oktoberfest mixpack. Can we talk about the artwork for a second? Always awesome. Just like with wine, one of my favourite things to do is try new beer, so trying out the Oktoberfest mixpack is something I look forward to every fall. I saw it in the shop this past week and couldn’t wait to take it home and try each beer. So – let’s get tasting! Up first, Boghopper, in all it’s caramel-coloured glory. 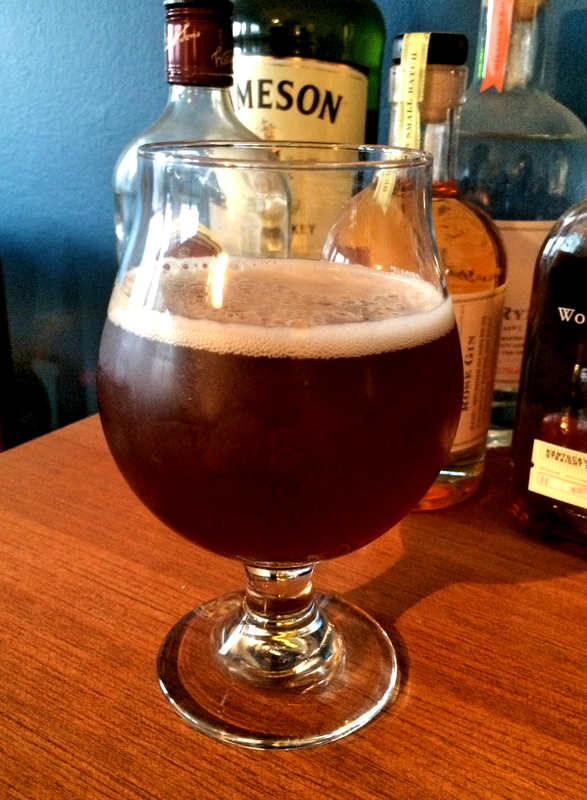 The description calls this one a “dark and hazy wheat beer with an amped up hop presence”. It’s got a lovely caramel colour and that thickly opaque unfiltered look. The nose is sweet and malty, all warm and inviting. The flavour was earthy and spicy, with a clean, almost sharp finish. The hops are definitely there, and might be a turn off if you’re hops-averse, but I’ve had my fair share of super intense IPAs so this was completely fine by my palate. The slightly blurry (my bad!) Gose. This one is another hazy wheat beer, but the hops have been switched out in favour of brewing an old German style called Gose. There’s a saltiness that exemplifies this style of beer, and I definitely get that when the beer hits the front part of my tongue. 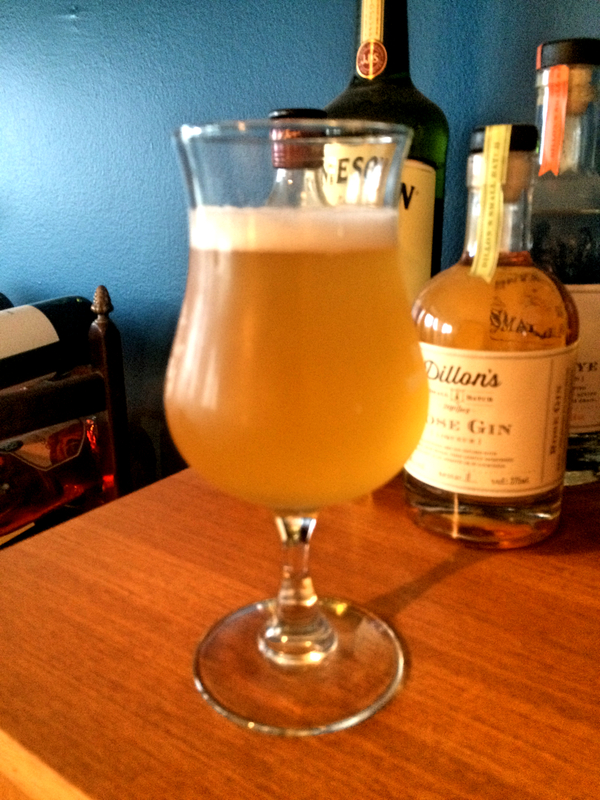 I didn’t know what to expect with this beer – I haven’t had many goses and so was a bit wary. But it’s got a brininess that I really enjoy. So clear you can see right through it! Can we just talk about the look of this beer for a minute? That golden hue! That clarity! Be still my beer-loving heart! The brewery says this one is an extra-strong version of their flagship beer, Lug Tread. And is it ever! At 8% alcohol this beer isn’t messing around. The nose is is surprisingly, well, tropical! I smelled mango more than anything else. 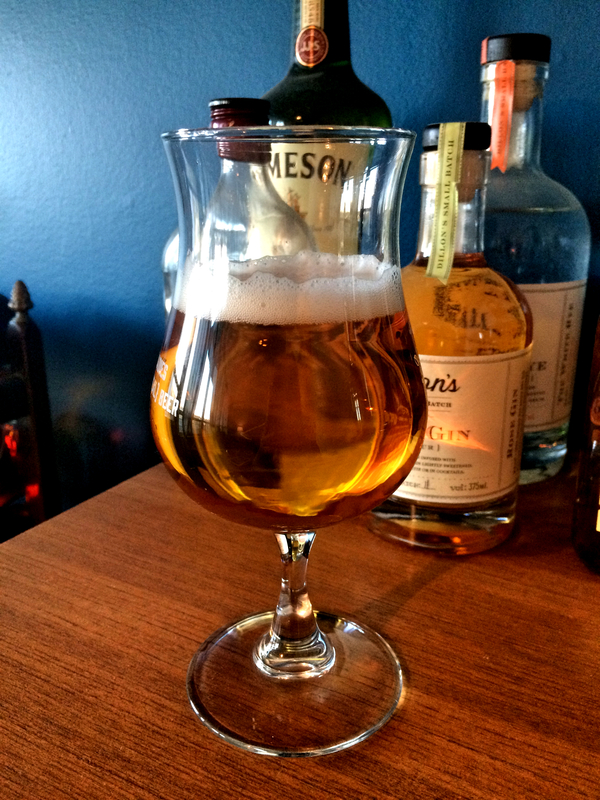 Flavour is smooth and round with a nice cleanness and a satisfying breadiness that I love in a good beer. It’s also more on the sweet/smooth malty of things, as opposed to the sharp/pungent hoppiness you get from other, more aggressive beers. Mmmmmmm, pumpkin beers. Seriously, is there anything better? (hint: the correct answer is ‘no! pumpkin beers are the best!’) The colour is a bit darker than Haters Gonna Hate (don’t you just love these titles? ), and strikes me as just a bit more pumpkin-y than the others, all orangey and autumnal. 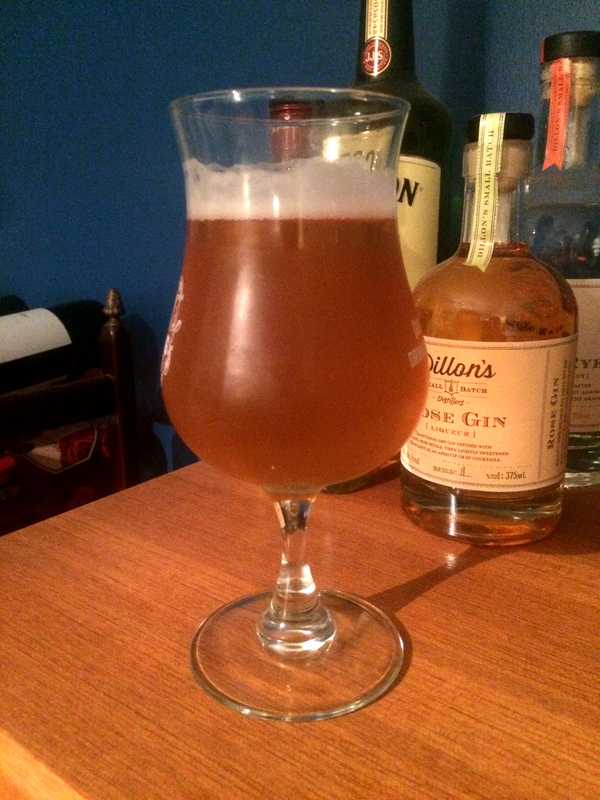 This guy is another wheat beer but this time the brew is spiced with pumpkin-y things – clove, ginger, cinnamon, a bit of orange. The nose is super creamy with a bit of spice, just like a pumpkin pie – no, seriously! And the flavour is more of the same deliciousness – creamy, pumpkin-y and with just enough spice. But! It’s pretty clean and crisp tasting, it doesn’t have quite the big breadiness I tasted in Haters Gonna Hate – I wonder if alcohol volume has something to do with it? One last tidbit – apparently is more than 350lbs in a batch of Wiess O’Lantern. Holy pumpkin!! 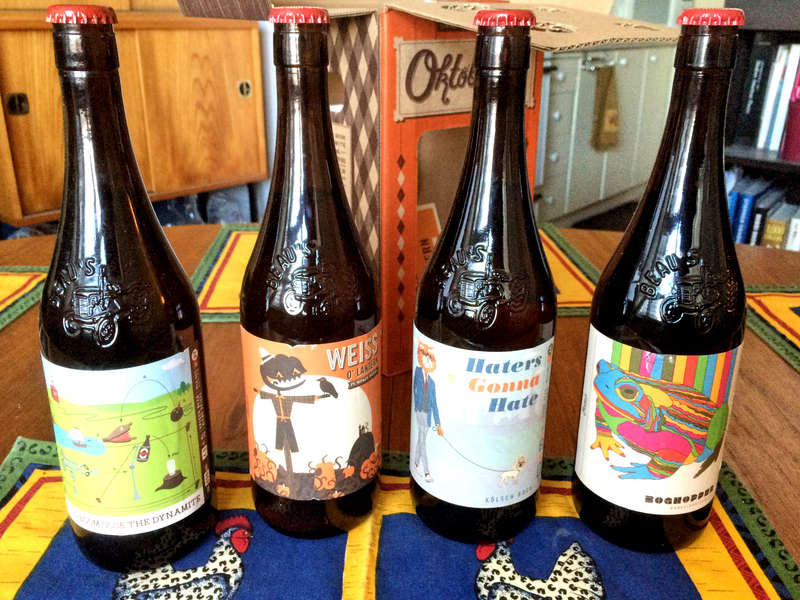 I like that the Beau’s chose four beers that were quite different from each other. There was no bottle that I had where I thought ‘I’ve just had this’. Even though three out of four were wheat beers (!) they all had their own thing going on. Variety is the spice of life, after all. The only drawback is that these beers only show up in the mixpack. I really wish I could get these on their own. Only getting to try one bottle of each is a bit of a tease, I’m going to have to keep an eye out in case I can get my hands on another mixpack. I’m sold by the names alone! Right?? That’s one of the things I love most about Ontario craft brewers, they come up with hilarious beer names. My current favourites are Octopus Wants to Fight (and IPA from Great Lakes Brewery) and The Princess Wears Girl Pants (a Belgian IPA from Sawdust City). This is making me thirsty for a new beer festival!